Xbox 360 owners will get another streaming option very soon. Update: A Redbox representative reached out to clarify that the Xbox 360 will be the exclusive home console of Redbox Instant during the beta and launch phases of the service. 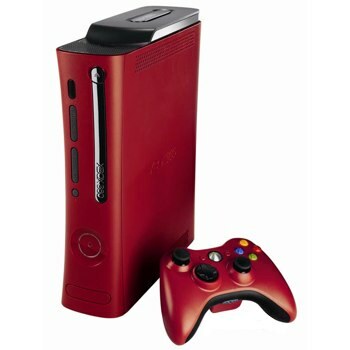 The company doesn't appear ready to reveal further plans for the service, but for the time being, the Xbox 360 is the only console that has been confirmed for the streaming product. Original Story: Sure, there are already plenty of ways to stream video content to your Xbox 360, including Netflix, Hulu, HBO Go, and Microsoft's own video rental service. But despite this, the company figured it would add one more to the list: Verizon's Redbox Instant. The Xbox 360 will be the exclusive console home of Redbox Instant, keeping the likes of the PlayStation 3 and Wii U from getting a piece of the pie. Neither company has revealed a date for when the service will appear on the console, but Major Nelson noted in a blog post that it'll arrive "in the very near future." Redbox Instant is currently in a private beta testing phase and isn't available to the general public. Redbox Instant operates on a subscription model, with two tiers available: Either $8 per month for unlimited streaming plus four DVD rental credits, or $9 for streaming plus four Blu-ray vouchers. Like the console's other streaming options, Redbox Instant will appear as an app that can be downloaded from within Xbox Live.